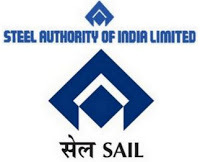 SAIL Jobs Recruitment 2018.Steel Authority of India Limited, SAIL inviting applications for the positions of Advanced Specialized Training on Nursing and Advanced Specialized Training on Physiotherapy.Interested and Eligible candidates can apply for the positions. a .For Advanced specialisedTraining on Nursing: Passed Diploma in General Nursing & Mid-Wifery Course from recognized Nursing Institutes of Odisha or Institutes run by SAIL Plant Units or B.Sc Nursing from any recognized institute. NB: Preference will be given to candidates from SC/ST category and from Peripheral areas of Rourkela Steel Plant i.e. from Bisra, Lathikata and Kuanrmunda Blocks of Sundargarh District and Model Steel Villages and RS Colonies of RSP. 1. Two recent passport size photographs duly self attested. 4. Caste Certificate issued by competent authority in case of SC/ST candidates. Date & Time of Interview - 11/09/2018. to 12/09/2018. Candidates fulfilling the above specifications may attend interview on the above date, time & venue with following certificates/documents in original along with self attested photocopies of the certificates/documents. However, candidates who have undergone similar training in IGH are not eligible to apply.